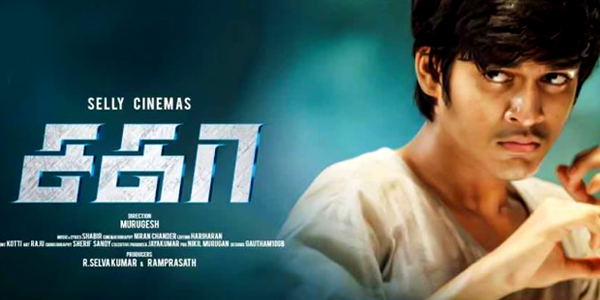 'Sagaa' is an upcoming film directed by Murugesh. The music score for the film has been composed by Shabir. The album has an ample seven tracks to boast of. The composer has roped in singers like Andrea, Naresh Iyer and Hari Hara Sudhan in to the album.He has also penned the lines for all songs in addition to singing several of them. But how does the album fare? Well first things first. This song has the definite potential to be a hit. Especially the composer must be commended for his brilliant twinning of duet and piano accompaniment. Naresh Iyer’s voice has the right shrills and base to wade through the flow of the track. Rita’s rendition is just as sweet. You will hear a little of guitar and nadaswaram as well. Repeat hearings? No, more of a repeat ‘repeat’ hearings. Aathadi starts off energy from the very beginning. Shabir has joined with Rita to dish out a track which is ‘colourful’ intones albeit coming off as monotonous in certain places. Shabir’s lines are playful and completes the romantic banter between the lovers in a very satisfying way. Might deserve a justified spot in your playlist. Vithiye has a symphonic feel to it. The strings are piercing and soulful as a gradual piano accompaniment surges to give way to vocals. Shabir’s rendition is very different in texture and tone from his previous Aathadi. And towards the end, Janani Ranjan’s voice along with background strings are out of the world. A well tooled track – must hear- multiple times. This is a percussion soaked track with the three male leads’ difference in texture giving the song its versatility. With a stable pace, thumping beats Nenji Kizhinji Pochu is truly enjoyable and would win as a dance number. As a folkish track, this is not ruckus, but rightfully deserving a spot in the album. And it shows off the composer’s easiness to switch genres as well. Boys have got a good song for their ‘thara local party’ nights. As if being impressive wasn’t enough, Shabir is also surprising in the album. He exceeds your anticipation by giving more. 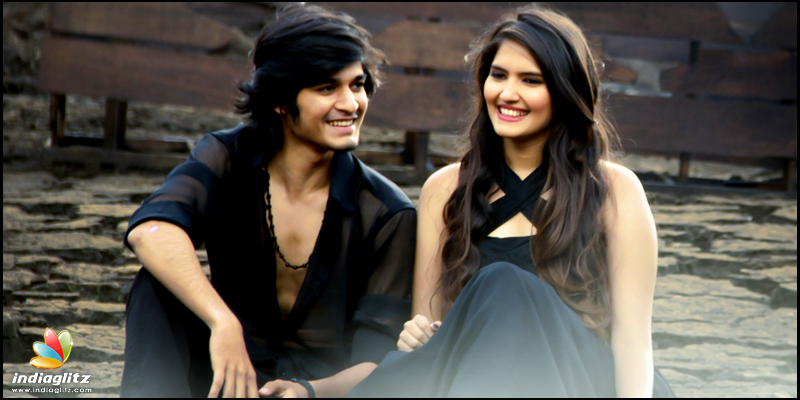 Sagaa is soulful, melancholic and is aching for a voice which is restrained- and there lies its beauty. From mid-song it’s understood when the song gains its ‘freedom’ and spews out energy unrestrained. This is special. Alphons Joseph, kudos. Sevulu Kizhiyum delivers what it promises, in a good way. Well one cannot wonder but think if Shabir will have any other genre to explore in future projects. You can’t be but amazed at the way he handles this metallic track. Shabir and Rudra as singers have justified the song totally and compositions like this gives hope of proper death metal in Tamil music space. This writer felt like listening to Disturbed for a few moments. Add this to your workout playlist and see the weights increase in your bars. You hear a different Andrea in this track. Her portions are low laying when compared to the instrumental background of the track. You have to give it again to Shabir- he is full on high energy and knows when and where to change his inflections without coming off as trying too much. We also see Andrea rise up a little bit in visibility towards the later half of the song. Semma Piece is a semma song. Verdict: Shabir signals an able, versatile and multi-skilled composer set to join the top rung in Tamil contemporary music space.